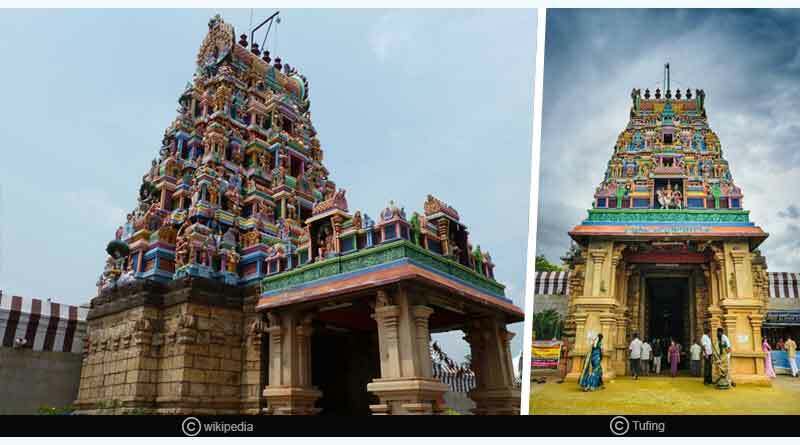 Do you know about these five best temples to visit in Coimbatore? Coimbatore is a city in Tamil Nadu, India. 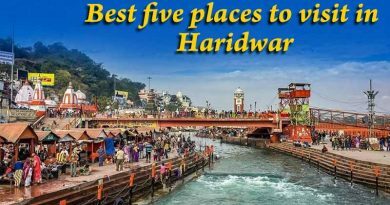 It is one of the fastest growing cities in India and is one of the largest exporters of jewellery, poultry and auto components. The city is surrounded by greenery and hills. 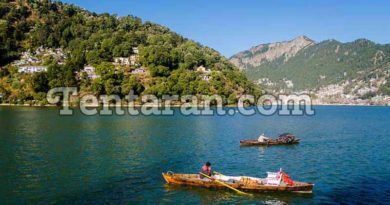 From temples to waterfalls, to amusement parks to natural parks, the city has almost everything you seek from a holiday destination in India. The temples provide you a glimpse of ours ethnicity and culture. Isha Yoga Center was founded by Sadhguru Jaggi Vasudev that provides a supportive environment to shift to healthier lifestyles and seek a higher level of self-fulfillment. The foundation offers yoga programs under the name of Isha Yoga and has over 9 million volunteers. The Adiyogi statue is inside Isha Yoga Center. It is a wide statue of the Hindu God Shiva with white Thirunamam at Coimbatore. Sadhguru said that the statue is for inspiring and promoting yoga, and is named Adiyogi, which means “the first yogi”, as Lord Shiva is known as the originator of yoga. The statue has been recognized by the Guinness World Records as the “Largest Bust Sculpture” in the world. The Isha foundation is a must visit when you are in Coimbatore. Marudhachalamurthy Temple, Marudamalai is a popular 12th-century temple dedicated to Hindu god Murugan, situated in Coimbatore, Tamil Nadu. It is one of the most famous temples of Coimbatore and it is referred to as the Seventh House of Lord Murugan. Like most Murugan temples, the temple is situated on the top of the hill. The name ‘Marudham’ is derived from the native trees marudha maram (Terminalia arjuna) which is found in the hills of Coimbatore. Eachanari Vinayagar Temple is dedicated to Hindu God Vinayagar and is situated near Coimbatore, Tamil Nadu. 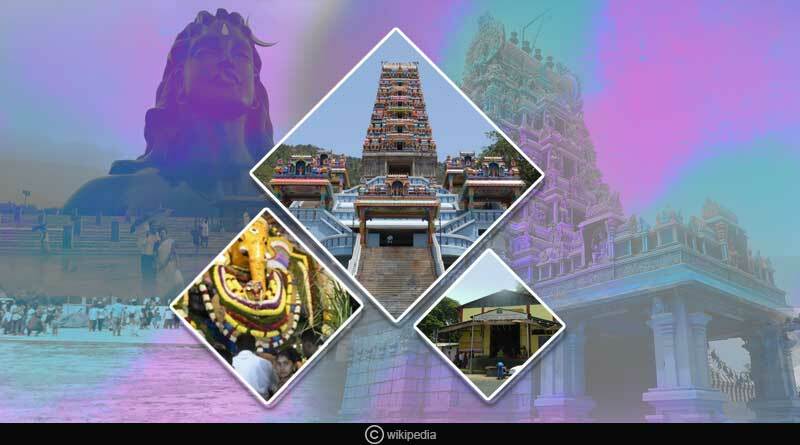 The temple is situated about 12 km from Coimbatore NH 209. It is said that the idol of Vinayaga is 6 feet high and 3 feet in diameter. It is also said that the idol was being transported from Madurai in a cart for installation at Perur Pateeswarar Temple but the cart broke down in the middle of the highway towards Coimbatore. Then it was decided that the temple for the idol will be built on the highway itself. Perur Pateeswarar Temple is a Hindu temple dedicated to Lord Shiva which is located at Perur, west of Coimbatore, India. The temple was built by Karikala Chola before the 7th century. Here Lord Shiva, known as ‘Patteeswarar’, is together with his divine consort Parvati, known as ‘Pachainayaki’. It is believed that the idol is to be ‘Swayambu Lingam’ (self-emerged). 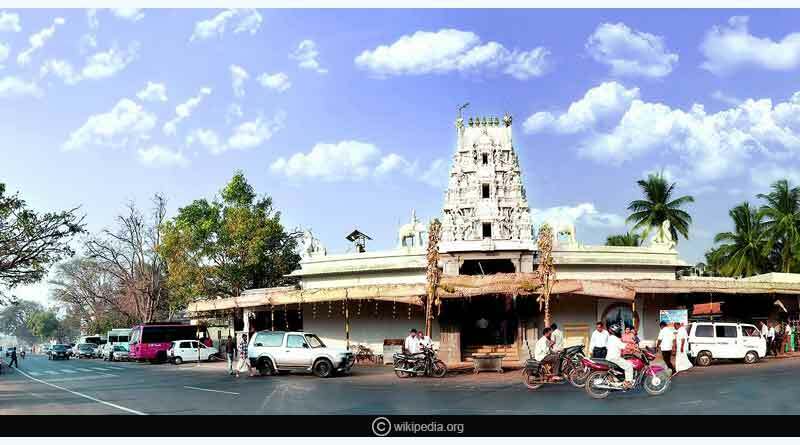 This temple is known with different names: Kamadenupuri, pattipuri, Adhipuri, Daksha Kailasham, Thavasiddhapuram, Kalyanapuram, Pirava Neri Thalam, Pasupathipuram. The temple is dedicated to Lord Ganesha in honour of Vinayagar Chaturthi. Vinayagar Temple was established in the year 1982 by the Devendra Kula Foundation. 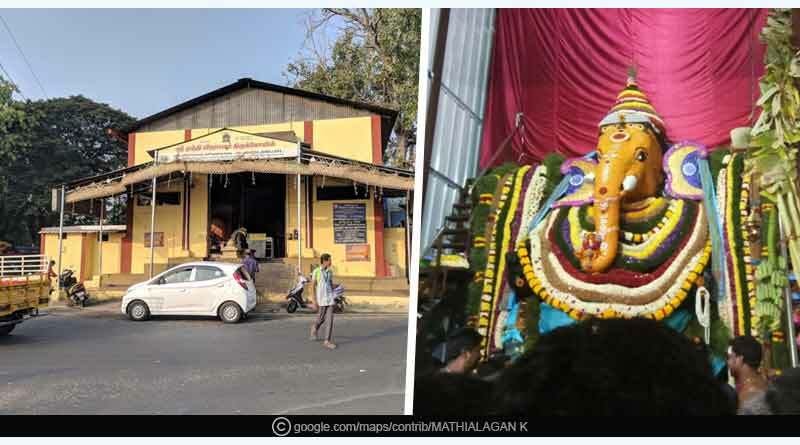 Lord Murthy Vinayaka’s idol is 19 feet tall and weighs 190 tons. It is the largest idol of Lord Ganesha carved in stone. Because of its size, the idol is also Asia’s largest idol of Lord Ganesh. The sculptors who created the idol are said to have gone through a meticulous search operation to choose the right stone and move the idol to the location of the temple. For more articles like the five best temples to visit in Coimbatore, do like and Subscribe to tentaran.com and follow us on Facebook, Twitter, and Google+. Love the Isha Yoga Center and the Perur temple.